I'm sure that many of you have heard about products by Younique by now. There is talk about them all around, on every single social network. I've heard good, I've heard bad, but I had never actually tried the products for myself. When an old friend from where I used to work reached out to me and told me about the products, I quickly became interested. Why? Because she has always had the best fashion and beauty sense and I figured she obviously knew what she was talking about! 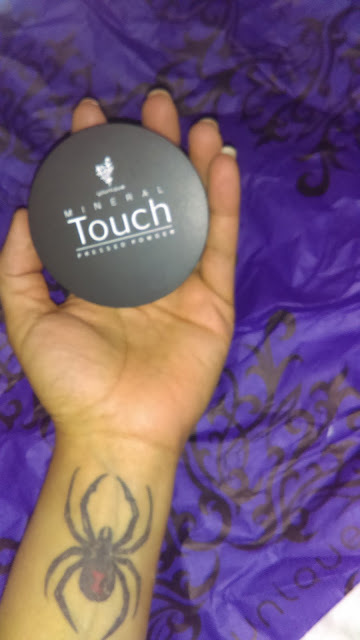 I said yes, and well, a couple of days later, a box arrived on my porch with my very first Mineral Touch Pressed Powder Foundation. I was NERVOUS about getting the right shade. This has always been a problem for me. 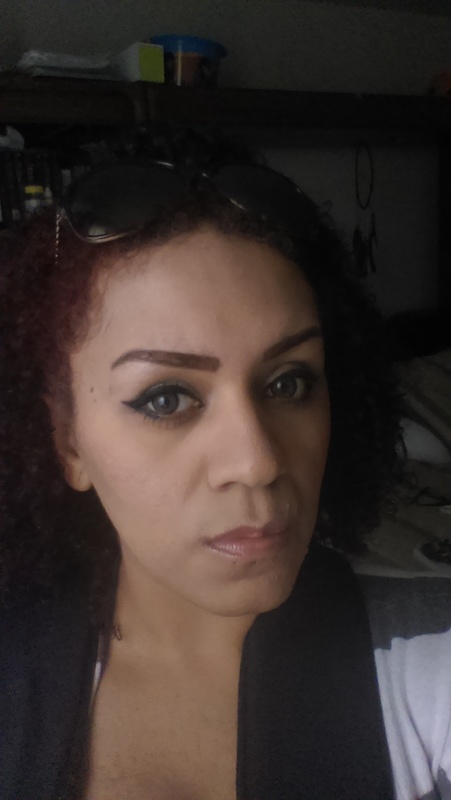 I will stand in the makeup aisle at the store FOREVER, just trying to find a shade that is close enough to my actual skin color. Well, my friend, Kimberly was more than helpful and she color matched me on the computer! Yes. She wasn't even in the same room as me and looked at some of my photos in natural lighting, and picked a shade she thought would fit best. She did an amazing job, by the way. 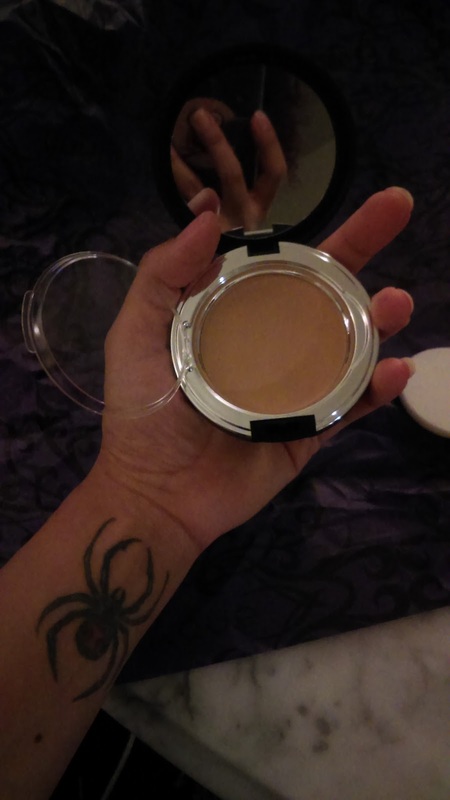 It's a good sized compact with a mirror and sponge applicator. There is even a clear plastic door that covers the makeup, for when it is stored. This protects your makeup from getting all over your mirror or sponge when you're not using it! Alright, now for the scary part. 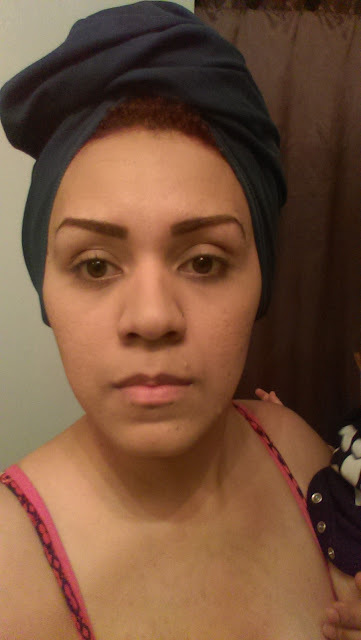 I'm going to post up some non-makeup pics because I want to show you guys whether or not this product works for me. Oh.My.Gosh. Awful. Such an unflattering pic. You can see some spots. I had visible redness, splotchy areas, and old acne scars, along with some uneven color. You might not see that all here in this picture, but believe me, it's there. Here's my face after using the pressed powder. It didn't cover up everything completely, but it did help. 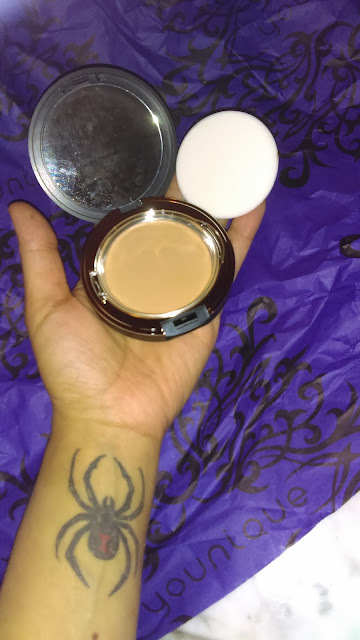 It made my skin a more even color and gave it a smoother, matte finish. I like that. Here I am in brighter lighting. Different day, again with no foundation on. 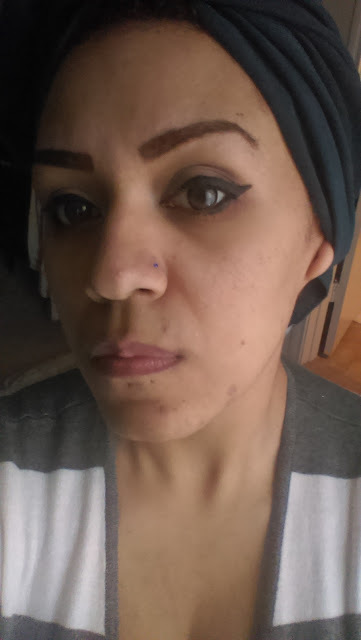 Alright, I added some contacts and liner to get started with my makeup. 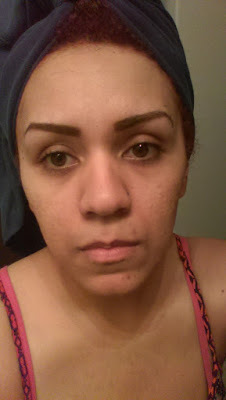 I added on some moisturizer, of course, and some cheap BB Cream before using the pressed powder. I always make sure to moisturize before using a powder product so my skin won't look and feel super dry. Here I am after using the pressed powder. 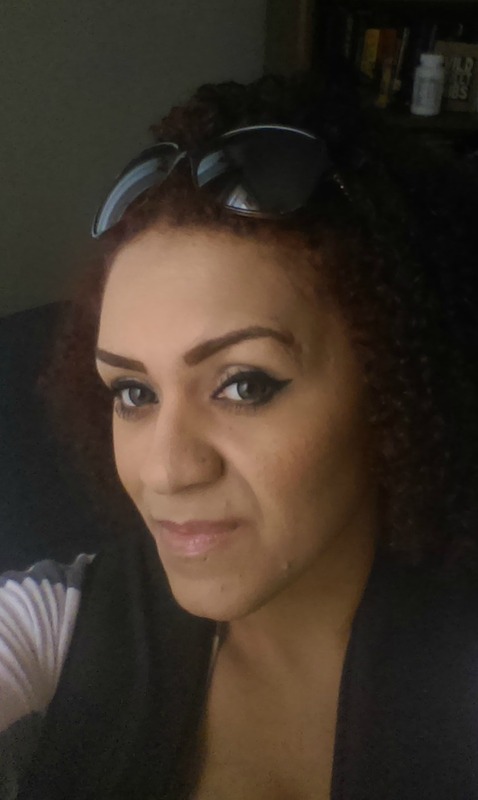 I used the applicator sponge to pat in onto my cheeks and fine line areas. Then, I used a big kabuki brush and applied it to the rest of my face. Here's the side that I have more skin issues on. It definitely helped quite a bit. You can still see some spots, but they don't look nearly as bad. I also added a very tiny bit of blush and bronzer here, as well as some lip gloss. I really like this powder. It doesn't feel overly cakey, and it causes no irritation. It is blendable and looks good on top of BB cream or primer, and even better on top of liquid foundation. 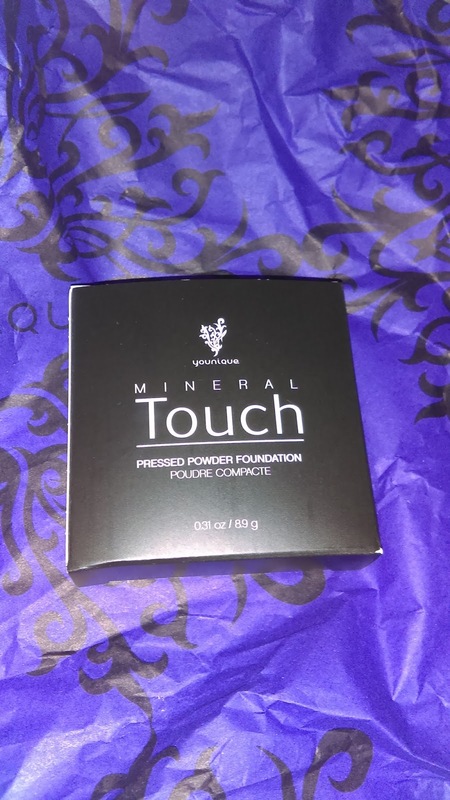 By the way, Younique also has a liquid foundation available that I've heard works beautifully when paired with this powder. I have yet to try it, but will definitely post about it if I purchase it in the near future. In case you were wondering, the shade that I am wearing in these photos is called Satin, but there are a number of other shades available. If you're interested in purchasing your own pressed powder, want to see the whole line of Younique products available, or have ANY questions about their shades and whatnot, you can send my friend, Kimberly Beaullieu, a message. 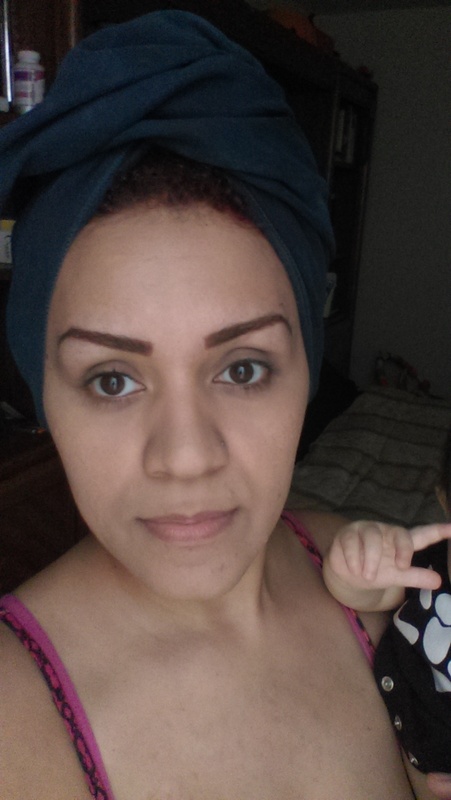 She is so pretty and very knowledgeable when it comes to makeup. Also, you can visit her business page to view everything available and place an order.